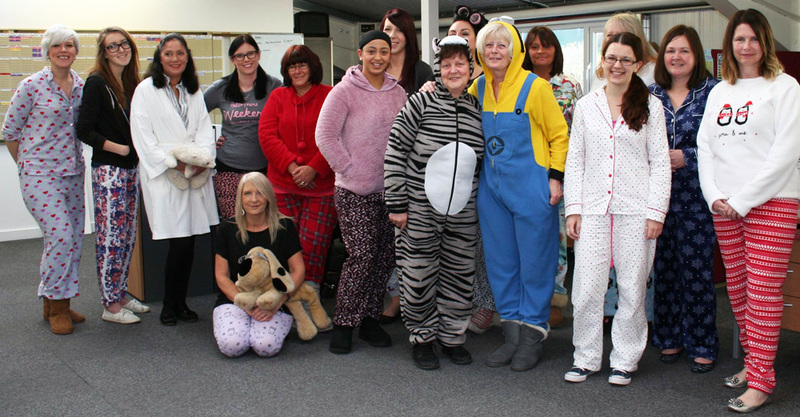 SOS staff wear their best pyjamas to celebrate children in need. Specialised Orthotic Services got cosy for children in Need 2015. Staff came into work wearing their best pyjamas and held a raffle to raise money for the charity. A very big thank you to everyone today!! For wearing pj’s, donating and having a go on the raffle!! We raised a grand total of £102 for children in need. 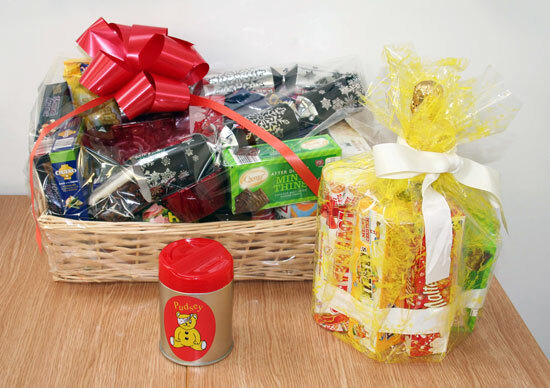 The raffle prizes included two chocolaty Christmas hampers, staff were invited to enter the raffle for a chance to win. We would like to thank our staff for taking part in the event and helping raise money for children in need around the UK. The BBC appeals night broadcast on television on Friday 13th November raised a total of £37,100,687! Children in need is the BBC’s UK corporate charity, providing grants for projects which focus on children and young people who are disadvantaged. The charity helps people in all corners of the UK and support small and large organisations which empower children to extend their life choices. By supporting these schemes, Children In Need aims to make every child safe, happy, secure and allow them to reach their potential.